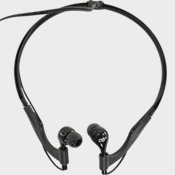 Overboard Waterproof Headphones Pro Sport, Best MP3 Headphones. 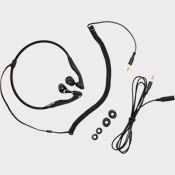 The Overboard Pro Sport Waterproof Headphones kit comes with a secure comfortable neckband and reactive coiled cable to eliminate tangles during sports. Superior sound with the best MP3 headphones in or out of the water. The waterproof headphones guaranteed to a depth of 6 meters. 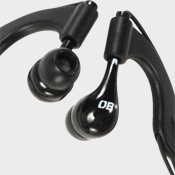 Also includes three different size small, medium and large silicon ear buds to ensure the perfect seal. 100% waterproof headphones guaranteed to a depth of 6 meters. Superior sound above and below the water. Round neck sports band for greater comfort. Headphones detach from neck band for casual use. Compatible with standard 3.5mm audio jacks. A reactive coiled cable to eliminate tangles during extreme sports like surfing. 3 different size (S, M, and L) silicon ear buds.